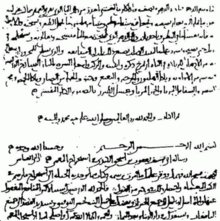 ^ Ibrahim A. Al-Kadi‧《密碼學的起源：阿拉伯國家的貢獻》，Cryptologia, 16(2) (1992年4月) pp. 97–126. ^ Kahn, David L. 密碼破譯者：加密的故事. 紐約: Scribner. 1996. ISBN 0-684-83130-9. Abraham Sinkov, "Elementary Cryptanalysis : A Mathematical Approach", The Mathematical Association of America, 1966. ISBN 978-0-88385-622-2.